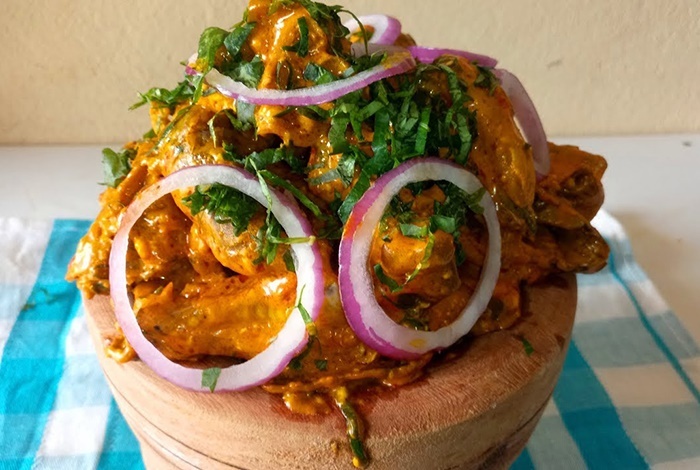 Nkwobi is one of the side attractions that you get in bars in Nigeria. When you buy Nkwobi for the first time, your will think that the dept of the bowl is much, considering the height of it, but how soon your fingers begin to touch the top of the bowl leaves you perplexed. It appears the presidential candidate of the Peoples Democratic Party (PDP), Mr Atiku Abubakar, have been looking into that small bowl used in serving Nkwobi. That bowl is annoying sometimes and the deception that this bowl gives the buyer of Nkwobi makes eating the sauce annoying. Before you say Jack, the Nkwobi is gone because the wooden bowl is not actually a bowl. It has no depth at all. Well, this is for persons that have eaten Nkwobi before. If you have not, may be you need to go in search for it for you to understand the response that Mr Abubakar gave to a social network user who asked him a question about the depth of the Nkwobi bowl. "Your Excellency, Atiku, what is your policy position on the depth of the Nkwobi bowl? "Do you lean towards restructuring the bowl or you want to maintain status quo? "Look forward to your response," the Twitter user said. If you have the kind of eyes that looks beyond the surface, you will see that the cookie jar [Federation Account] is being discussed here. Nigeria's revenue from crude is not growing in the same proportion with the number of hands and mouths waiting to benefit from the shared allocations. This and other corrupt activities of some Nigerians have consistently ensured that the resources are not enough. The new minimum wage demand is on one side cutting fresh opening to the bag of revenue and this may have triggered the question. But Mr Abubakar saw the question as another opportunity to emphasise why he chose a former Governor of Anambra State, Mr Peter Obi, as his running mate. Mr Obi is from the eastern part of Nigeria, and when you talk about money and management of resources, most Nigerians will ask you if you are from the east. So, Mr Abubakar believes that Mr Obi has what it takes to manage the lean resources that the shallow Nkwobi bowl will present his administration should they win the 2019 presidential election. His response to the individual on Twitter is "I will leave that to Mr Perter Obi. "He’s an excellent manager of lean resources".